King George III of England was famous for his fidelity to his wife. 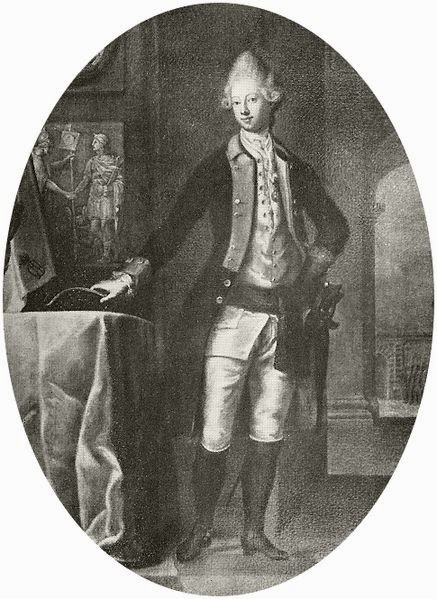 His sister Caroline Matilda for the opposite reason. Her affair created a huge scandal that shocked the court of Denmark and led to her imprisonment. Her life had been marred by tragedy from the beginning. The last child of HRH Frederick, Prince of Wales, and his wife, Princess Augusta of Saxe-Gotha, Caroline Matilda was born at Leicester House in London on July 11, 1751, a few months after her father’s death. Despite this, the first few years of her life seemed to have been happy. Her mother made sure she received an education fit for a princess. 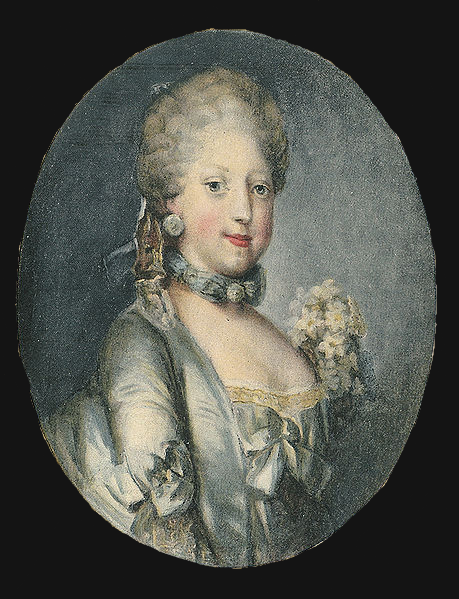 Caroline Matilda learned German, French, and Italian, and could sing well. Kept away by her mother from court squabbles, she grew up into a lively and down-to-earth young woman who loved riding and spending time outdoors. But her carefree childhood came to an abrupt end when she was betrothed, at the tender age of 15, to her first cousin, Christian VII of Denmark and Norway. The marriage would strengthen the ties between the two countries, as well as the Protestant religion, and check the power of France as well. 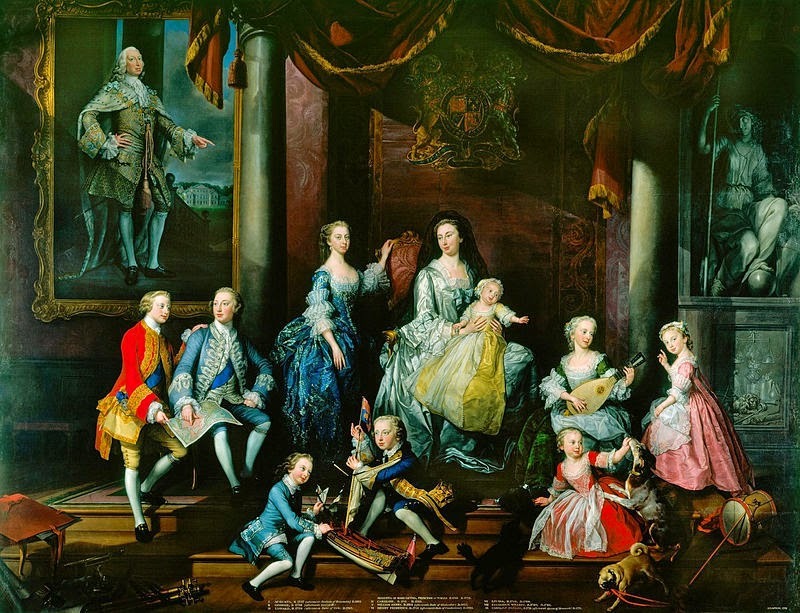 Whether husband and wife liked each other didn’t matter, although the Danish ambassador painted his King as a sober and virtuous Prince that would have made a good husband to Caroline Matilda. This couldn’t have been further from the truth. Christian was insane. In an attempt to make a man out of him, he had been abused and hit by his tutors. This had the opposite effect, causing him to retreat into a world of his own. He also grew obsessed with his appearance, even stripping in public to admire his body. He also dressed in disguise so he could pick fights with anyone he liked. Once king, he neglected his paperwork, preferring to spend time with friends playing practical jokes and womanizing. He often visited the brothels of Copenhagen, and was violent to women. Caroline Matilda, who had lived a protected and secluded life in England, was hardly ready for life at the stricter Denmark court, let alone for marriage with an insane and violent man. 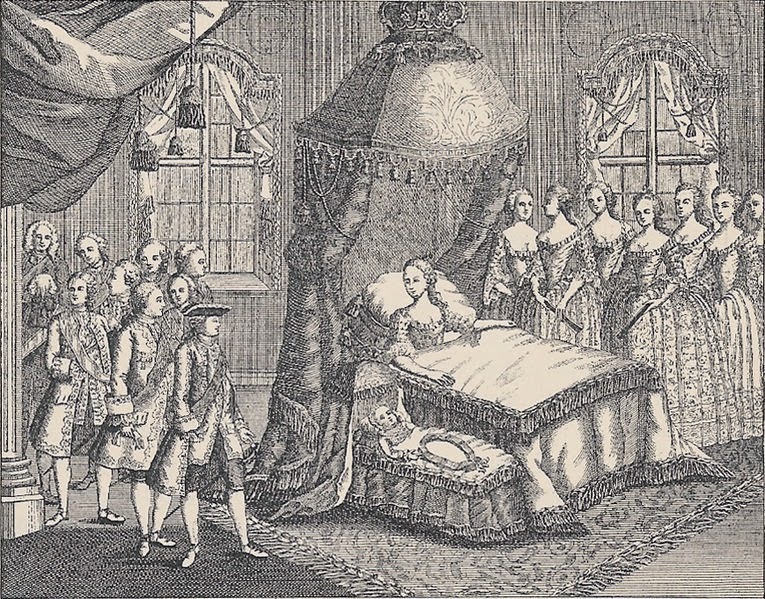 Nevertheless, on November 8, 1766, the couple tied the knot at Christiansborg Palace in Copenhagen. The young bride still hoped to make her marriage work, but her husband decided that he didn’t enjoy being married, and often left her alone. The couple managed to conceive an heir, Frederick, but soon Christian went back to his old bachelor ways. His mental conditions worsened too. He also kept neglecting affair of states, leaving his wife to run the country. If Christian wasn’t interested in his wife, other men were. And Catherine, having already given birth to an heir, felt she was free to take a lover. She fell in love with Johann Struensee, an attractive Prussian doctor Christian had met during one of his incognito trips throughout Europe. He did Christian a lot of good, even convincing him to be nicer to his wife. But he was also an ambitious man, and, once installed at court, began an affair with the Queen. He listened to the Queen, encouraged her to ride fiercely, and even to wear men’s clothes. Christian knew (and so did everyone else), what was going on, but he didn’t care. He was happy with this new arrangement, and even moved in with the lovers to the secluded palace of Hirscholm, where Caroline gave birth to a daughter, Louise. 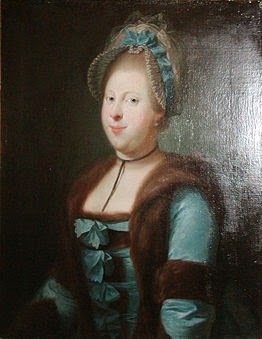 Although raised as a Danish’s princess, she was likely Struensee’s daughter. But Struensee’s political ambitions were to be the couple’s undoing. He used his influence on Catherine to rule the country with her, which suited Christian just fine, but pissed off everyone else. Soon, the couple’s many enemies started plotted their downfall. They gathered enough proof of their affair and, one night, at a masked ball, the couple was arrested. 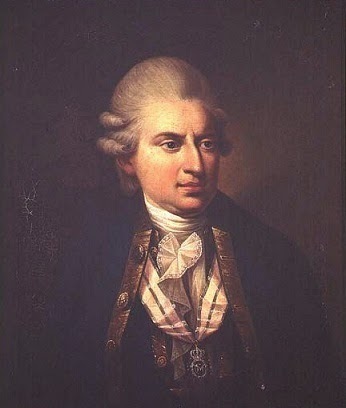 Christian had signed the warrants when told that a revolution was being planned against Caroline and Struensee and that his palace would be stormed soon. Caroline was imprisoned at Elsinore. She was allowed to take her daughter with her. Her son, she would never see again. At the first, the couple denied their relationship, hoping this would save Struensee’s life. But when the doctor was tortured, he confessed to the affair. In the ensuing trial, the Queen and King were divorced, although their children kept their legitimate status. The doctor was condemned to death and executed on April 28, 1772. Catherine, instead, was sent into exile in Hanover. She died of scarlet fever a few years later, on May 11, 1775, aged only 23.